A guess it was several weeks ago (I'm behind on my Blog posts!) 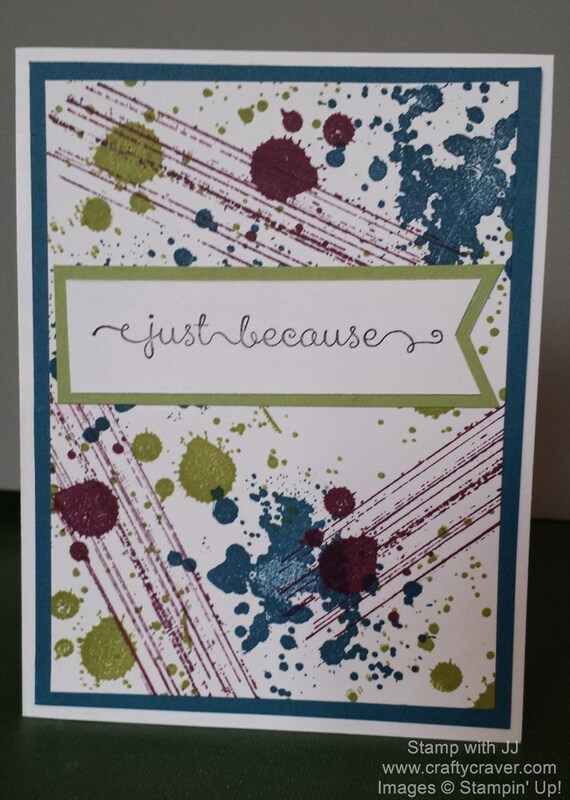 I didn't know what stamp set I wanted to work with so instead I decided to play with color combinations and went simple with the Gorgeous Grunge stamp set. I really like some of these combinations. 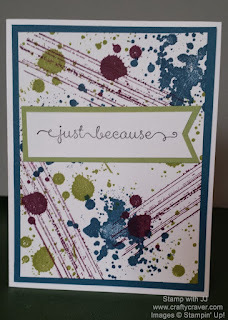 The first card is using Daper Denim, Pear Pizzaz, and Rich Razzleberry inks. The Rich Razzleberry looks very dark in the picture but is actually a little lighter, but it did stamp a little darker than what it normally would because the ink pad is very juicy as it is new and I haven't used it very much.....yet. Card stocks used are Whisper White, Daper Denim, and Pear Pizzaz. 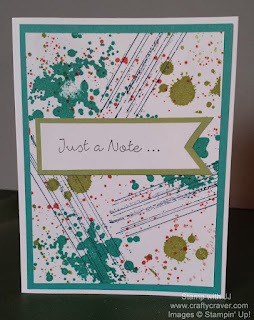 The sentiments on all the cards are stamped in Momentum Tuxedo Black. 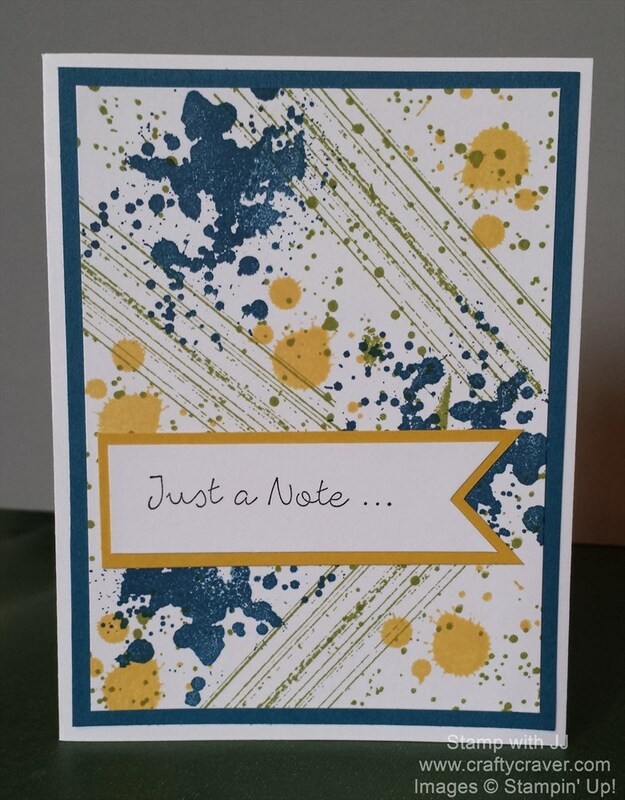 The second card is Daper Denim, Bermuda Bay (love it!) 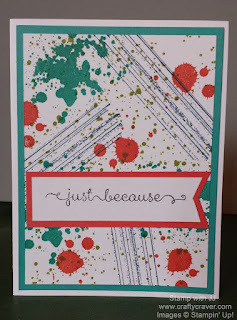 and Watermelon Wonder inks. The Flirty Water Melon is fast becoming a favorite of mine the more I use it. The card stock is Whisper White Bermuda Bay, and Watermelon Wonder. 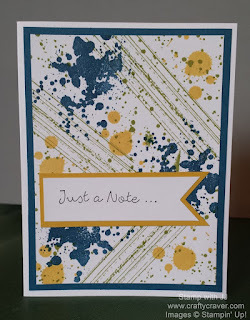 Third card is Daper Denim, So Saffron, and Pear Pizzaz inks. A very classic combo with the blue and yellow. The Pear is hard to see in the picture but is used on the lines and in a small splatter. Card stock is Whisper White, Daper Denim, and So Saffron. 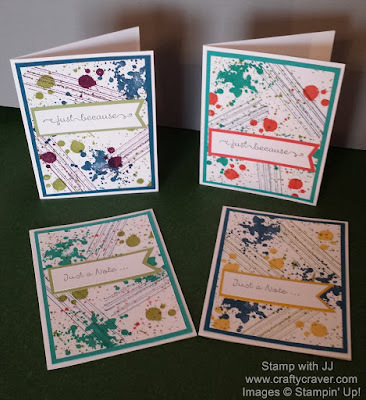 Last card is Daper Denim, Bermuda Bay, and Pear Pizzaz inks. 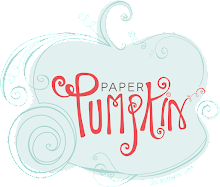 Card stocks used are Whisper White, Bermuda Bay, and Pear Pizzaz. So, do you have a favorite? I can't make up my mind, but it is either the second or third card.